A real beach paradise Phuket has lots to offer - famous island excursions, world class snorkeling and dive trips, elephant trekking, jungle safari, golf courses, a zillion scenic spots, beautiful temples & shrines, traditional Thai massage, caberet, water parks, shooting ranges and a fantastic night life. To explore each of these places in a relaxed way it is best to spend around a week in Phuket. The best time to visit is from November to March when the seas are warm and the sky is clear. 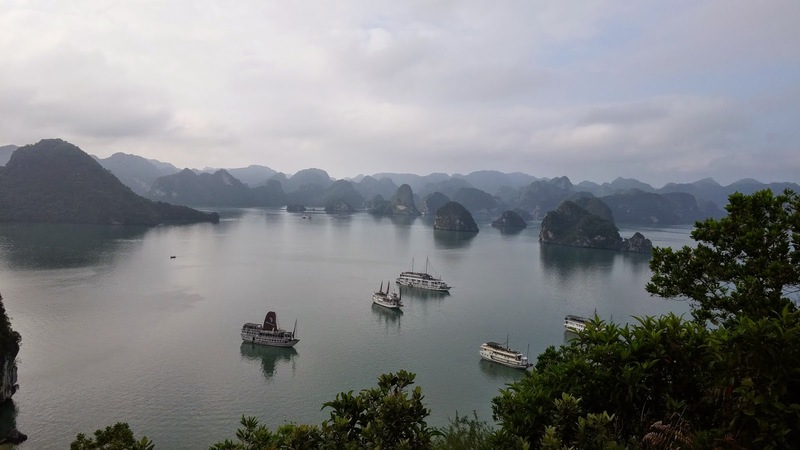 April to October accommodation and other things are much cheaper but some of the activities like island hopping, diving & ferry / boat rides might get affected due to rains. The visa process is simple (Phuket International Airport) - all you need are two recently clicked passport size photographs, a valid passport and a simple form to be filled & signed (easily available at the airport). The visa fees is 1000 THB per person. 19 countries are eligible to enter Thailand under the VISA ON ARRIVAL rule. Attached is the link for further reference & rules regarding visa process. A minimum of 10,000 THB per person is mandatory for a short stay (around 7 days). Would suggest one to carry around 20,000 THB per person for shopping, activities, emergencies (like medical) & other expenditures. You can get your currency converted at the airport or at several currency exchange counters available throughout Phuket. Metered taxis are easily available just outside the airport. Metered taxis take around 650 THB till Patong area (with a maximum capacity of 4 people). You will also find some booths inside the airport advertising for limousines (which are just normal Toyota or Corollas). Not advisable as these cost more around 850 THB. The metered taxis are air conditioned and quite comfortable. It took us around 45 minutes to reach our destination from the airport. We stayed for 6 days at the Thara Patong Beach Resort & Spa. While deciding on our accommodation we kept two factors in mind : budget & accessibility. Voted as one of the best resorts by trip advisor in 2012 I strongly recommend this resort to everyone. Reason being its prime location in Patong area close to Bangla street as well as the hospitable and friendly staff. Very convenient to commute around from this place. Terrific beaches, restaurants, bars, discos, street side shopping, malls and medical facilities all in close proximity. However, there are many hotels & resorts in Phuket and one can look at the other options too depending on his / her budget & choice. Commuting is easy - cars, taxis, tuk tuks (local autos) and buses are available throughout. Tuk tuks and taxis are the best mode of transportation. Tuk tuks for shorter distances and taxis to cover longer distances. For a full day tour a taxi costs around 1500 THB. Shared taxis are easily available. Some tuk tuks have interesting disco lights & hip hop or desi beats being played - indeed a joy ride!! Hiring a two wheeler is a real nice experience in Phuket. These are less than 40 cc and you do not need a driving license. You are seriously spoiled for choice for food options in Phuket with probably a greater variety of cuisines than anywhere else in Thailand from hawker stands, beach vendors, local noodle shops, great Thai and seafood restaurants right up to the finest International dining. I am a die hard Thai food fan and must say the local cuisine is delicious - most of the gravies are coconut based. Noodles & rice is usually served with a fried egg, salad & crushed peanuts. Veg food is easily available at most of the restaurants. You will also find a chain of KFC, McDonalds, Starbucks, 7/11, Family Mart & other convenient stores all around. Note : Please avoid or rather be careful with sea food in Phuket especially during the monsoon season - April to October. For those who are crazy sea food lovers like me and cannot resist the temptation then don't worry. Ya I say don't worry. I too suffered from minor food poisoning after consuming shrimp rice. But Phuket has some of the best medical facilities and ample of pharmacies & clinics around. Would also suggest you to get a medical insurance done before your visit. Have included a list of emergency numbers and hospitals at the end of the blog. Things to see & approximate costing (per person). Activities : Cultural shows, entertainment centers, traditional Thai dressing, jungle adventures, shopping streets, restaurants, special sea food buffet, etc. Attached is the link for further details. Activities : Sun decks & beach shacks, swimming, para sailing, motor boat rides, banana boat rides, hair braiding, surfing, tattoo making, bars, restaurants, discos, shopping, etc. Note : Swimming, surfing, para sailing, etc are weather based activities. Please avoid entering the sea during bad weather. Activities : Beautiful temple with gardens around, street side shopping, small stalls & eateries. Note : Please do not wear shorts, mini skirts, short dresses, singlets, etc when you enter the main temple. Activities : Elephant safari, ATV, white water rafting, jungle trekking etc. Activities : Foot massage, foot scrubs, full body massage, shoulder massage, neck massage, facials, sun tan treatments, etc. Activities : Snorkeling, scuba diving, photography, etc. Note : Please avoid traveling by small boats, big boats & ferries during monsoons as the seas are rough. Activities : Sunset, photography, etc. Activities : Shopping, street side stalls, light snacks, etc. Most of the above activities can be booked by agents available at the resort or by several of the local agents who run stalls at Patong. You will find them selling tickets with different combination of activities. You may find that some blogs call Thailand a racist country. I have no idea from where has this notion formed. The Thai are the most friendly people and treat all well. Most of the locals can speak English. Some might have a problem communicating but still try their level best to interact and help. Although tipping is not mandatory in Phuket, but a little generosity from your end would bring a big smile on the service providers face. Around 50 to 80 THB for the staff at your hotel or resort, around 100 THB as a service tip at restaurants, to tour guides, masseurs, etc. Your valuable feedback and comments would be highly appreciated. Also if you have any questions regarding Phuket please let us know. Nice and detailed info. about Phuket and gr888 pics too. Hiring a two wheeler is a real nice experience in Thailand. I particularly like the fact that medical contact are included in your blog. Would like to see more of these from other Asian countries. Both of you looks awesome. Thanks for sharing your experience. Thanks a ton for your comments and valuable feedback specially pertaining to two wheelers. Will incorporate this information in our blog asap. If you have a similar travel blog let us know - we could include you in our blogroll. Your blog is the best blog I have read so far please share your email address. I need more info and help. Really a great information regarding Phuket travel. I have been to Phuket once but after reading your blog I think I missed so many things there.Its not just about beaches and night clubs. Also, personal experiences with some great people that you meet would also give a fantastic mix for us travel lovers to connect with your experience. Loved your eye to detail... keep it up girl! Great stuff! Will look forward for more.. Also add map locations.. Enjoyed reading this post. The attention to detail is fantastic and the pictures add a refreshing angle. Would love to visit Phuket sometime soon. Thanks for your comments and valuable feedback. Really nice n informative article with beautful pics..keep travelling n njoi life :)..looking forward to more of such articles from you guys..will ask specific questions for phuket/thailand once I make a concrete plan. Thanks a lot for your comments and valuable feedback. Will soon post about other destinations :)You are most free to ask questions. 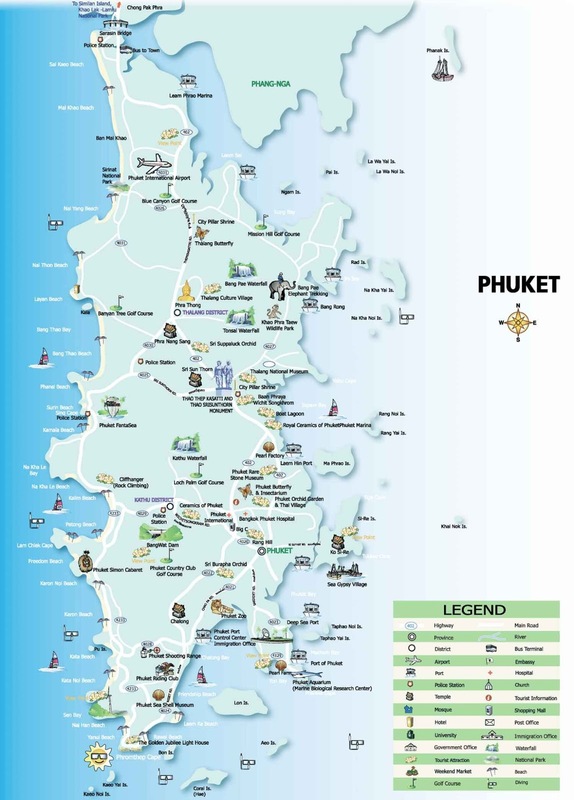 Thanks Sneha and Aseem for putting up all the important and interesting information on Phuket. The blog is very well written and is very lucid in describing the place. Wonderful photos, especially the one where Aseem is getting a massage! What expressions!!! Photos add the liveliness to the blog, and you have spaced them nicely with the text in between. I would say a very good article to start off a travel blog! Do add the links to various websites that helped you plan your trip. Waiting for your experiences on other destinations! I guess if you count-in the locations within Taiwan, this blog can up the momentum going! WOW!!.. Very informative and organised stuff! !..Too good! !..This makes me wanna go to Thailand!! Refreshing article on Thailand. You two look great! Warning about seafood is critical, as that's the first thing we would head for. Overall very informative, especially about medical facilities! Will surely visit Thailand! Glad you enjoyed our post. Yes I agree that the info about seafood was essential especially for seafood lovers like us. Keep following our blog for more details. Hey there....This was great information, I have been to Phuket once, 2 years ago and am going again in November. The information really brought back memories and I can now tell people the name of the temple that is my screensaver - Wat Chalong :)....could not remember for the life of me. Look forward to reading more of your blogs and you both look like your having a fantastic time in your pics. Ps, did you do this for fun?, I ask as I am thinking about doing a blog just for fun but not sure as I only get to travel once a year. Thanks for the excellent and detailed feedback. Glad you enjoyed reading our blog. Wat Chalong is one of the most beautiful temples I have seen. Will come up with more blogs soon. Me and my husband came up with this idea of writing blogs as we have traveled a lot more so Asia side. Yes it is for fun and at the same time would help a lot of people. Do feel free to ask us any questions regarding Phuket. Glad to hear you enjoyed my island! I've lived in Phuket since 1999 .. and been blogging about Phuket since 2006 (Jamie's Phuket @ http://jamie-monk.blogspot.com). Cheers! Yes we had a fantastic time. Would love to visit Phuket again. We missed visiting the islands in June due to bad weather. Have been through your blogs and enjoyed reading them. Very informative and well written. Reading through your blog was as if I'm already traveling :)...This blog of yours is very informative. I would certainly take the pointers from here when I plan to travel. Keep traveling and blogging :). Thanks for your valuable feedback. Glad you enjoyed reading the post. Yes, I agreed with you, beaches are the main attractions in Phuket and Thailand. I had visited in Phuket and that was my memorable trip to Thailand. Its really beautiful place for travel lovers. Many top sightseeing is available to see. It's a Small heaven on the earth. hello Sneha, Im visiting Phuket in march, and I really found ur blog useful. I had a few questions around the island hopping tour as Im interested in both phi phi and phang nga.... anything u can recommend. Do u have an email id I can reach at? Thanks for ur help. 2. I and my husband are interested in snorkeling, diving etc so which island hopping tour should we choose? Sorry I missed replying to you earlier. Hope you had a wonderful trip!Thanks for the feedback. It is a very good piece of a travel writing. I never visit Phuket but, I think your information will be more helpful for me. Thanks a ton to share something like that. I have a question, and that is:- what is the best way to go Krabi from Phuket?? Superb I have read many blogs but this one I found most informative and detailed. If you do not mind may I have your email address ?